Represents a 20 % discount on the best available daily rates for junior suites and suites reservations. Minimum stay of 2 nights required depending on the availability. As the 1st hotel of St. Moritz, the Kulm Hotel offers a variety of winter sports for skiers and non-skiers as well as for adults and many attractions for children. With 172 rooms, 5 restaurants and a 9-hole golf course, the hotel is perfect for families, and winter and wellness lovers. The state-of-the-art 2000 sqm Kulm Spa St. Moritz, guests can enjoy relaxing sessions in the open air pool overlooking Lake St. Moritz or indulge in Alpine inspired treatments in the one of the 13 treatments rooms including the Private Spa Suite. 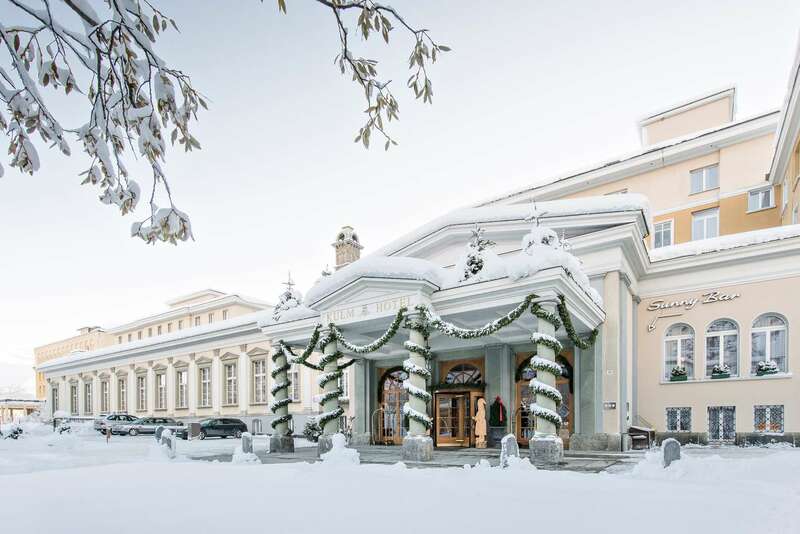 The Kulm Hotel St. Moritz is the Cradle of Winter Tourism and the history dates back to 1864 with the ground-breaking bet that took place on the terrace of the hotel. The world famous Cresta Run is home at the hotel, while the Bob Run offers adrenaline seekers a one-of-a-kind experience.